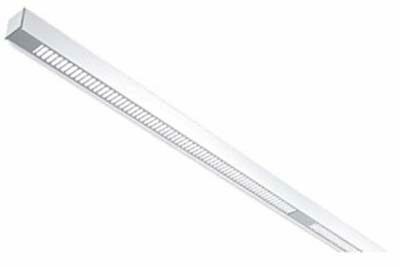 KLIK Systems is an Australian owned linear lighting manufacturer and has been supplying the Australasian region with high quality architectural, linear light fittings for more than twenty five years. From modest beginnings, the exclusively linear product range has been developed to include over fifty distinct systems. Each system has been designed in-house to accommodate a full choice of light sources, giving the specifier the largest possible choice to suit project purpose, budget and aesthetics. According to Jenny Hall Klik systems’ communication representative currently their products are not in Africa but they can be available upon inquiry. KLIK has five system families and in 2013 released its first LED catalogue, which includes the internationally acclaimed LEDPOD for outdoor rails. The new IP66 range of outdoor lights has also made an impact in the Australasia region, in the US and in Europe. But bespoke solutions are what Klik do best. In house design allows KLIK to rapidly respond to client needs with innovation tempered by experience. Klik System’s work covers most market segments including Health care, Commercial office, Educational facilities, Transport interchange, Retail and Hospitality. Recently completed projects where Klik Systems lighting has been a vital component includes the Library at the Concourse, Chatswood New South Wales, the new Canberra Airport, the Parkway Novena Hospital in Singapore, the Watermarc Aquatic Centre at Greenborough Victoria, the South Morang Rail Extension Project, and the Luminous interactive LED facade at Darling Quarter.